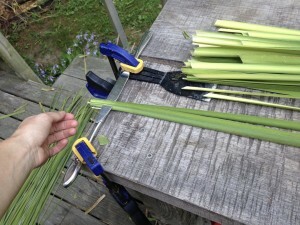 How to get started with harvesting cattails for basketry? I’ve been getting lots of questions on the subject of harvesting cattails over the past few years. 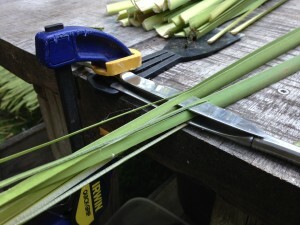 Cattails are one of my favorite materials to use for both coiled and twined basketry, but there are few secrets to harvesting and storing them that will give you the best results. I have definitely lost some batches along the way and want to help prevent you from making the same mistakes I did at the start! So sit back with a cup of tea and enjoy some tricks of the trade for using this wonderful native plant. 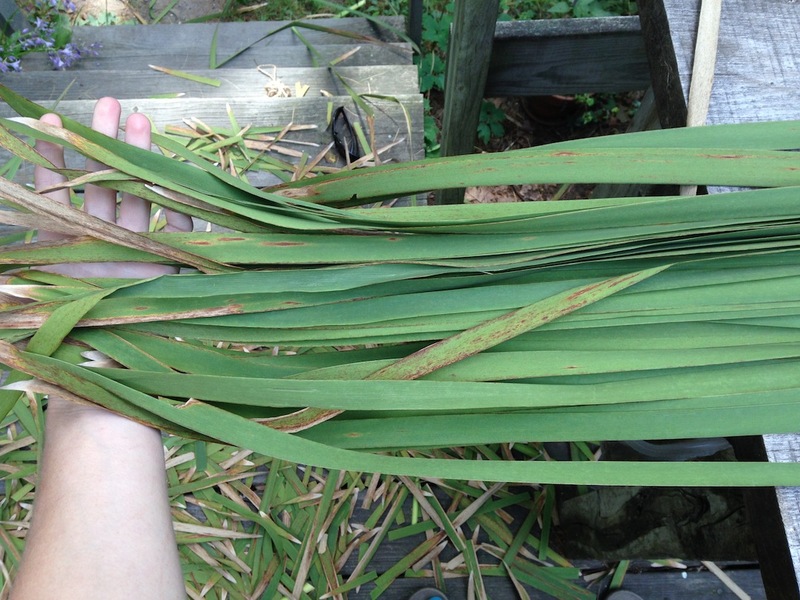 First of all, Typha latifolia, or broadleaved cattail, is a wonderful friend to have in the plant kingdom. 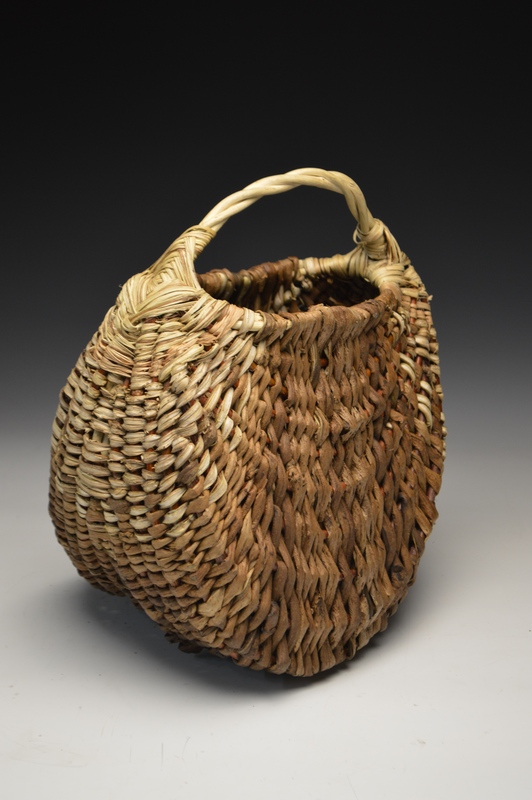 Not only is it as Euell Gibbons describes it, the supermarket of nature, providing many food items, but it is a wonderful plant for basketry and making woven mats. I have been learning a lot more about this beautiful plant recently and one of the best sources I have found is this great database. I’m not going to repeat everything they say here, but if you are interested in the ecology and habit of cattails I encourage you to read this resource. It’s pretty scientific but there is some great info in there! 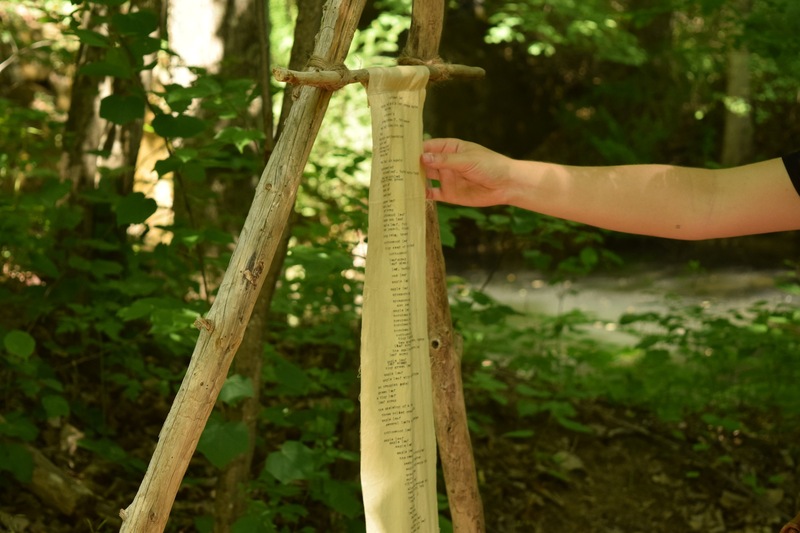 Finding Cattails: Where and When. Cattails are native to north america and can be found in any state. They are a moisture loving plant and grow in marshes, fields, roadsides along lakes/ponds, and other generally wet areas. In some areas they many be dense and stretch for miles and in others only a few plants are growing. The best season to harvest is in the end of the summer/early autumn. The exact optimal date will vary depending on location and weather conditions that year but the important thing to remember is: harvest them after the growing season is done and before they turn brown. Cattails degrade quickly at the end of the season and once you see the tips starting to turn brown it will soon be too late. Once they start decomposing (indicated by brown tips and by little black dots on the leaves) it will be hard to keep them after harvesting. In my part of New York state the best time is early September. No matter where you harvest it is always important to treat the land with respect and leave it better than you found it. Below are my essential practices for sustainable harvesting. 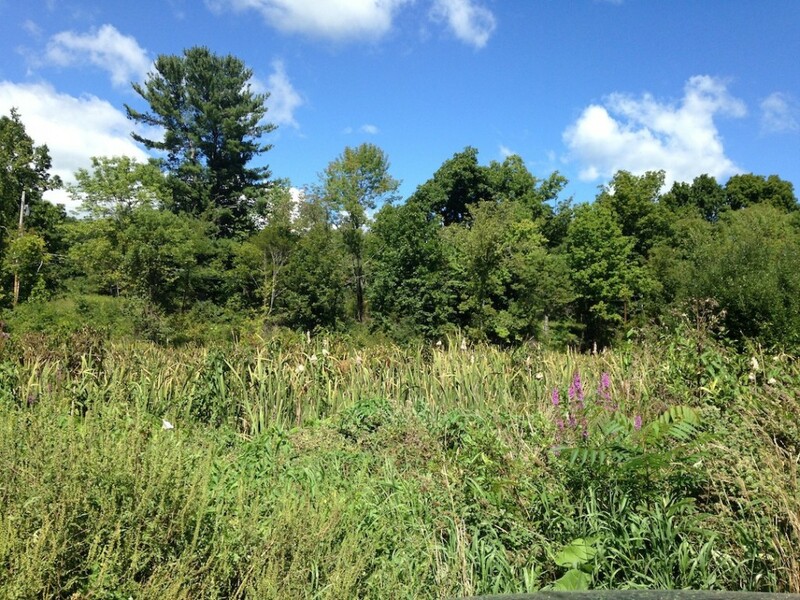 Avoid harvesting from patches that are being threatened by invasive plants like Phragmites. Phragmites tends to take over and if you see it or other non-native grasses at the edge of a cattails stand then be extra careful. Always harvest from the center of a patch, not from the edges. Harvest in different areas throughout the patch. Wait to harvest until after the growing season is done and the seed heads have formed and are dispersing. This is about early september in New York State where I live. Since you are only harvesting the leaves of the plant after the growing season is done I think it is unlikely that this practice could negatively affect a patch if you follow the above guidelines. I’d love to hear some opinions from botanists who study cattails about good harvesting practices and the affect it might have on a stand of cattails. You might want to wear tall waterproof boots and pants for this– it can get very dense and wet in a patch! To harvest I use a pair of pruning shears to cut either a whole cluster or a few leaves from each cluster. I have not yet done a study on if harvesting the whole cluster negatively affects the plant so I tend to go for a few leaves most of the time. Avoid clusters that have a flowered seed head stalk in them. Follow the sustainable practices listed above. 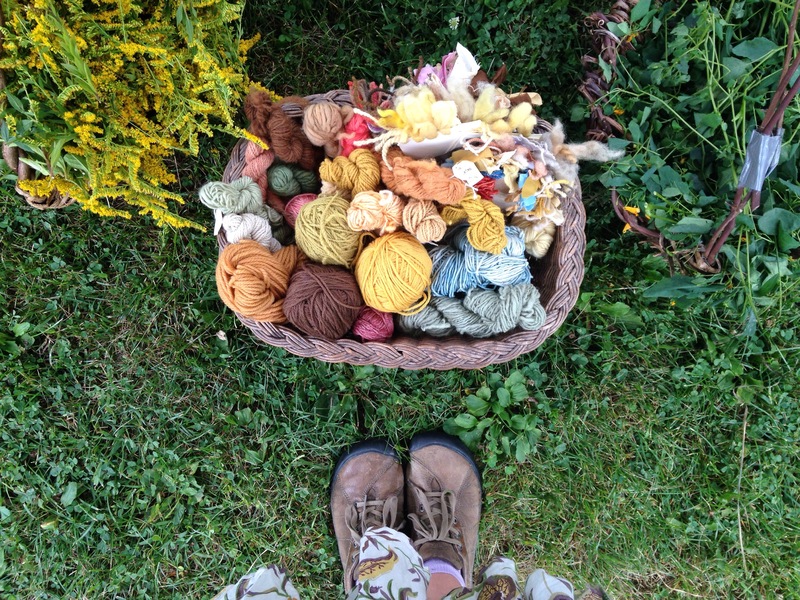 I tend to gather a large bundle, tie it together, and then carry it out of the patch. It’s important to remember that cattails hold a lot of moisture and are susceptible to going bad. The remedy for this is to dry them thoroughly before storing them and then re-soaking them before use. We do this for two reasons. First because we can’t weave all our baskets in september when we harvest! Second because they shrink a lot the first time they dry and any basket woven fresh will become loose when it shrinks. nd discard all brown or decomposing pieces. Then sort them by size categories: tall, medium, and short. Take bundles of each size and lay them out on a table. Cut off all brown tips and thick bottom parts so that each leave is clean and separate. This will reduce moisture. Then lay them out to dry in piles of their size categories. Drying can vary depending on the humidity and can take either a few days or up to two weeks of care. If you have a dry, shady barn or indoor space then use it, but be sure to check them every day to turn them. I am not so lucky and dry my cattails on elevated screens outside during the day. Every single night I wrap them up and bring them indoors into my tiny little house so they don’t get frost or moisture on them. You could probably put a tarp over them, but I’ve lost too many batches to take risks. Either way keep them super dry and after a week they may be dry enough to bundle and put in a cool, ventilated, completely dry area to store for the rest of the year. my elevated drying racks consist of rope stretched between my porch and a sawhorse. As for storing, I store them upright in tied bundles in my house. Any very dry, shady, ventilated place will do. 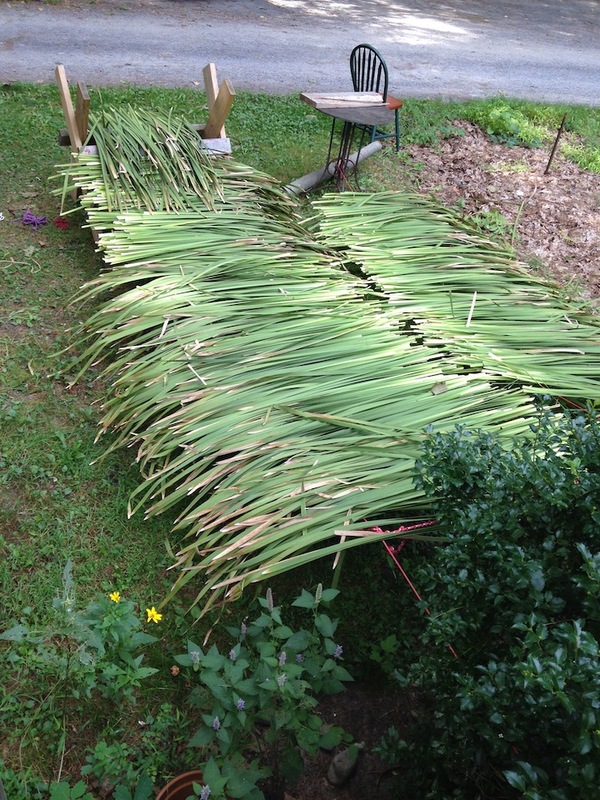 To soak cattails get a shower curtain or tarp and lay it out. Then take a towel and wet it completely with hot water. Lay the towel out on the tarp. 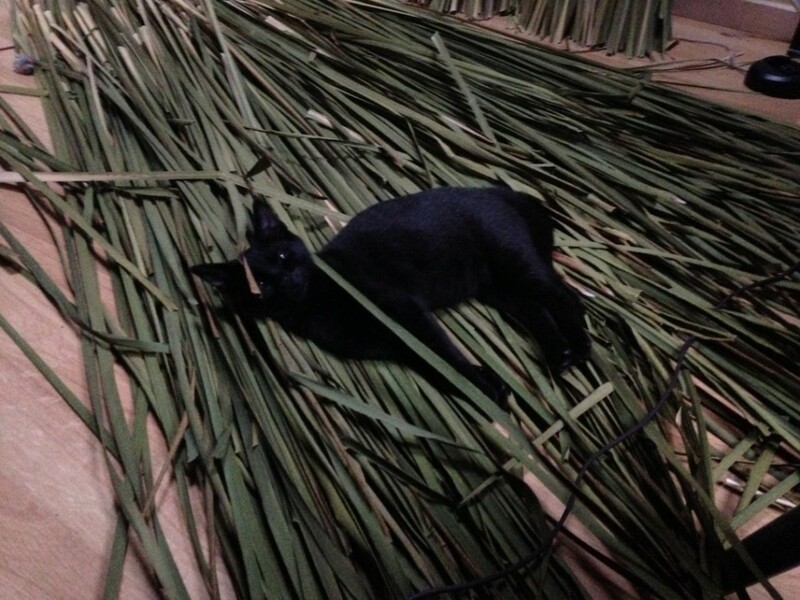 Then lay your cattails over the towel, wrap them up, and then wrap up the tarp. Leave for about 4 hours. 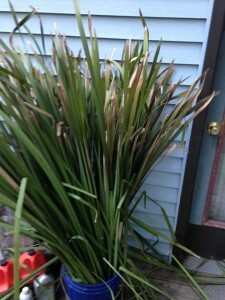 The cattails will absorb enough water to be flexible. This is easier and less messy than putting them in a tub of water and allows them to mellow. Don’t leave for too long in the towel because they will start to get nasty. While using them to weave keep them in the towel/tarp wrap and pull them out one at a time. Whew! That was a lot of info! After a few days of work in the autumn you should have a lot of cattail for use throughout the whole year. For some workshops on the calendar check out this link. 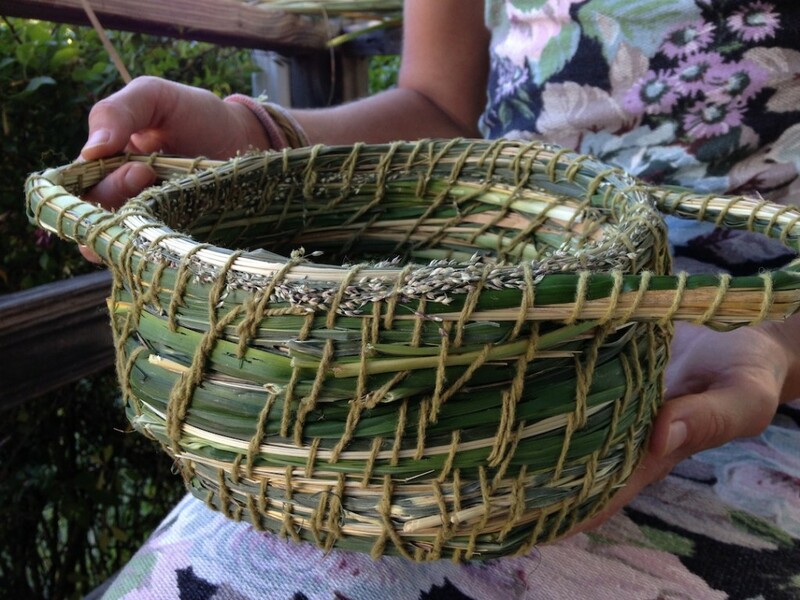 Want to schedule a cattail basket workshop at your own venue? Here is my page on scheduling workshops. Let me know what you think in the comments and please share your experiences in working with cattails! Do you sell dried cattails. I used to purchase them from William Schuster in upstate NY. He’d bundle them in 10 lb units and then ship them in 40lb (approx) packages. I normally havn’t harvested more than what I can use for my workshops, but it is not a bad idea! May I ask how much he charged per pound? Perhaps next year I’ll get a big enough harvest.